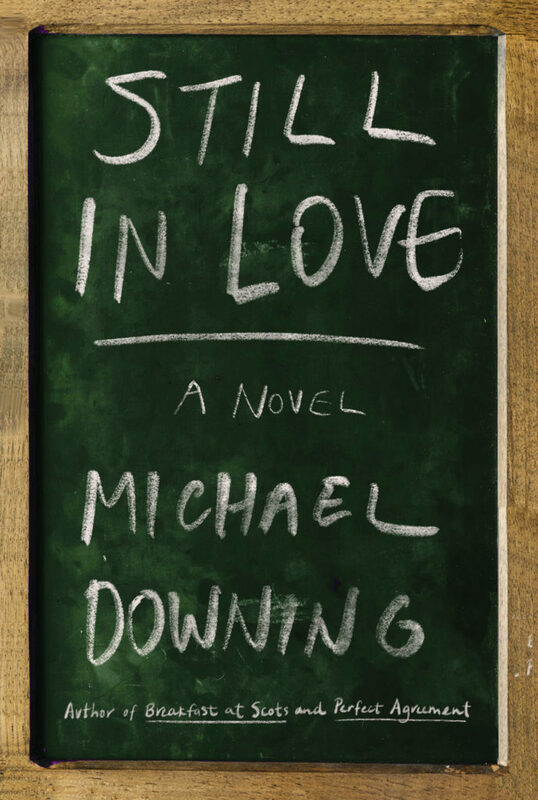 The following is from Michael Downing's novel, Still In Love, in which Mark Sternum co-teaches a writing workshop with the tenured Professor. Their complicated, contentious relationship forces Mark to be present in the classroom and in his own life. Michael Downing is the author of nine books, including the national bestseller Perfect Agreement and Breakfast with Scot, which was adapted as a feature film. He teaches creative writing at Tufts University. The Professor was a better drill sergeant and a better sermonizer than Mark, and because he had no interest whatsoever in the students’ lives outside the classroom and rebuffed every attempt Mark made to share any facts about their health or families or personal struggles, the Professor was also a better and a more useful critic of their written work. It wasn’t that the Professor could be objective, or even wanted to be. 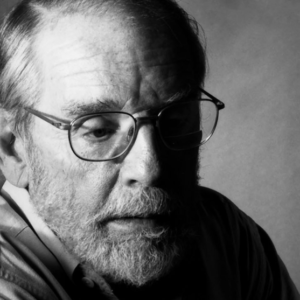 He was opinionated, provocative, and curious; a reliable, engaged, intelligent, and principled reader; a kind of North Star against which students could reliably gauge their progress on a singular journey. This was all a writer could ask for, and more than most of them would ever get again. The Professor made writers of them. Over the course of a semester, each of them would write—and deliver on deadline, without fail—four very short stories, two full-length short stories, each one revised many times and often entirely rewritten, none with more than a few unintentional lapses in conventional syntax and grammar. It was an accomplishment most professional writers would envy. The Professor nodded. “I hope your pens are poised.” He read Mark’s assignment almost word for word. The pens were moving again. Mark said, “That’s why we call the end of a story a resolution. The implications and suggestions of the literal text are resolved, and the full meaning of the action we have witnessed comes into clear focus for us.” Mark was about to repeat the deadline and delivery instructions, but the symphony of sighs stopped him. The room looked like a Victorian sweatshop, all twelve workers bent over their tatting or needlework. Mark turned and wrote on the board: For sale: baby shoes, never worn. “I question the syntax,” said Dorothy. “That’s a profound question you’re going to want to think about before you write,” said Mark. Mark was impressed—and a little appalled—by the Professor’s surgical summary of the famous little story. Mark was thinking of the yard sale story he had written—and how he hadn’t really inscribed an arc for the character of the Professor. “More on that on Monday,” Mark said, putting on his watch. “When it’s too late to do anything about it,” said Max. “I’m happy to know that makes you nervous,” said the Professor. Mark was still thinking about his yard sale story, and now he worried that the oddball business with the harmonica and the seller’s two $20 bills didn’t really add up to a proper transaction. He put on his watch and saw that they were already ten minutes over time. “Can you give us just one example of the difference between a hint and a suggestion?” This was Virginia, and her request was getting a lot of nods. “Now, go away,” said the Professor. “Not you, Isaac,” said Mark. Isaac looked up accusingly, as if he’d been unfairly called out. “As you know, I’m a big fan of words,” Mark said. Isaac shoved his notebook into his bag. “I don’t want you to leave without this.” He handed Isaac the annotated draft of his hit-and-run story. “And I’m happy to talk this through, Isaac, and explain why I won’t treat illustrations as text,” Mark said. Isaac tilted back in his chair, apparently trying to get a new angle on this situation. “A vacuum cleaner,” he said, just to make sure. From Still In Love. Used with permission of Counterpoint Press. Copyright © 2019 by Michael Downing.